Flickering Myth Podcast #76 – what are DC’s two new ‘mystery movies’? War for the Planet of the Apes review! 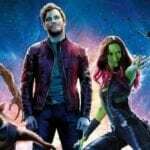 Flickering Myth Podcast #75 – the deleted scene that could’ve made Spider-Man: Homecoming better, next Quentin Tarantino movie revealed? Flickering Myth Podcast #74 – Spider-Man: Homecoming review! Jumanji 2 trailer reaction!